3D printing is all here as a revolutionary technology in improving our lives in infinite ways. It’s additive manufacturing and rapid prototyping features are yet to disrupt more industries and markets to gain predictability over products or process. Rapid prototyping, in particular, has already enabled several organizations to get appraisals, alterations, and iterations for ensuring quality and customer centricity for their products. 3D printing technology has by now been proven to be optimal for deploying in various industries to come up with better products at minimal cost and accelerated production. The rise of advanced 3D printing technologies has fueled the efficacy for various product development process in organizations. 3D printing and Rapid Prototyping has become essential for supply chain environments to activate additive manufacturing in product design and manufacturing lifecycles. Both 3D printing and Rapid Prototyping are capable of building models layer by layer from 3D design data being provided. However, there are many other significant features that distinguish both of these technologies. Several manufacturers switch between 3D printing and rapid prototyping in order to gain clarity over product manufacturing lifecycles. 3D printing technology has brought in a revolution in the manufacturing world by minimizing training requirements depending on the complexity of components and supporting structures. In rapid prototyping, the parameters aren’t much easy to adjust, thus it needs a great deal of training to use it. 3D printing is capable of building cutting-edge components, according to the required accuracy of the components. The time it takes to print a component depends on the accuracy level demanded by the product design. Creating a 3D design is this the most cost and time-consuming part in the additive manufacturing process. Once the design is created, producing parts in the 3D printer will get faster, cheaper and moreover easier to repeat the process. Additive manufacturing is shaping the future of the dental industry, by bringing together advanced scanners, software, and 3D printing solutions and materials. 3D printing technology has enabled a wide range of proven technologies and materials for allowing futuristic dental labs for accelerated workflows, efficiency, and precision in serving patients. Many leading healthcare organizations in India are getting to leverage the power of 3D printing technology in their environments in order to enable better precision and quality in various critical medical or surgical processes. 3D printing enabled additive manufacturing is utilized by many futuristic entrepreneurs for developing customized medical devices and other surgical counterfeits for the unique needs of patients. The 3D technology created a revolution in the healthcare industry for optimizing speed and cost in medical interventions. The additive manufacturing industry is emerging in order to aid the healthcare industry with solutions for developing medical equipment and facilitating case-specific research and training. Many healthcare institutions have integrated AI technologies and Cloud-based Big Data with 3D printing in order to improve accuracy across critical healthcare processes. 3D printing technology has evolved its application beyond rapid prototyping in the manufacturing industry. It is instrumental in many supply chain manufacturing for customized, lifetime durable, products. The constant quest of the new age manufacturing industries for early delivery of unique and customized products in the market can be accomplished with 3D printing technology. The technology’s rapid improvements have fueled the growth of manufacturing companies with unique industries and production budgets to activate better connectivity and product customization in their product design and manufacturing lifecycles. 3D technology’s greatest capability lies in giving manufactures with a leading edge sophistication in every aspect of the supply chain. The durable goods manufacturing industry is about to make a major leap in various processes such as product integration, reverse engineering, quality inspection, and tool modeling. More than 80 percent of globally leading automotive companies have already implemented large-scale 3D enabled additive manufacturing in their environments to optimize the productivity of various parts and reduce inventory costs. The current challenges in the automotive industry such as environmental regulations, rising prices of raw materials and the crucial need for shorter time-to-market can be met with an effective 3D printing facility. Many of the 3D printing in Mumbai are sought out by several midget automobile parts manufacturers for availing rapid prototyping and additive manufacturing to develop light-weight parts to drive down manufacturing costs. 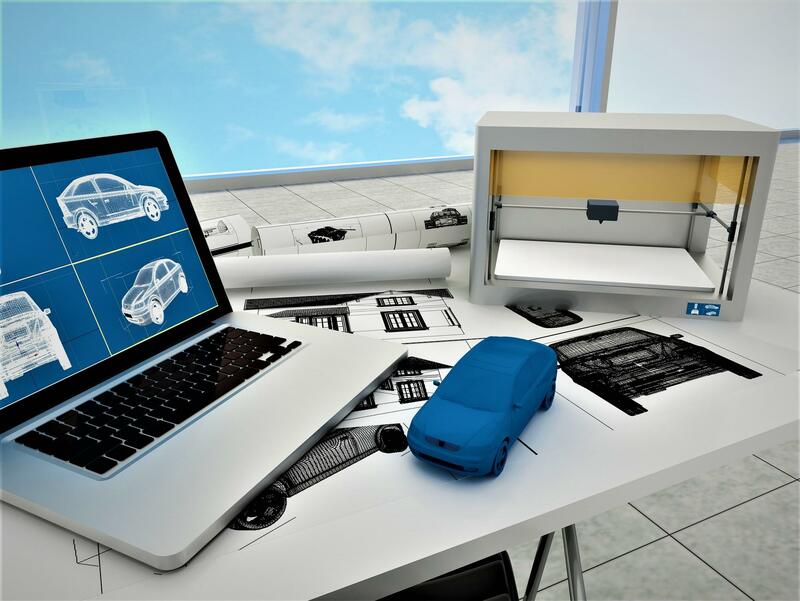 3D printing technology also helps the automobile industry to design and manufacture effective automobile parts that add to the efficiency and capability in their production lifecycles. Next What’s New In The World Of Web Design?